We offer parking in the lot behind the restaurant with access from Chester Rd and Brandon Rd. There is also additional parking after 6 pm in the Jack Seibert Jeweler's lot across the street. Street parking on Lane Ave is available any time except Monday-Friday from 4 pm-6 pm. Our Tasting Room is an intimate private dining room for up to 12 guests. 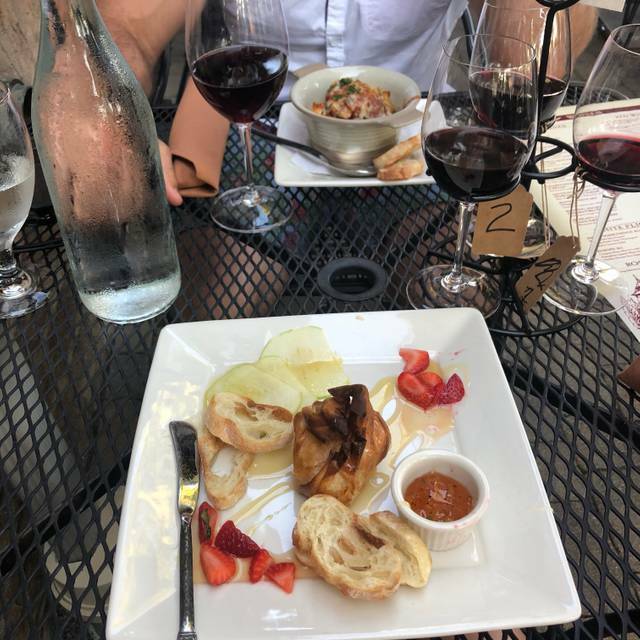 The Wine Bistro, with three Columbus, Ohio locations in Upper Arlington, Westerville and Worthington, offers an exciting array of well-curated wines and a list of select craft beers. 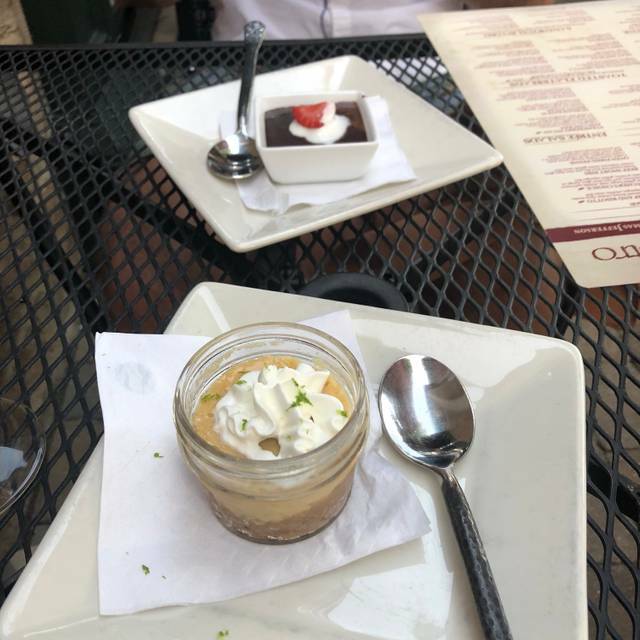 The menu features light and filling appetizers & small plates, soups, salads, flatbreads and entrees offered every day of the week for lunch and dinner. We open at 11:00 AM Mon-Sat and at Noon on Sunday. Choose a table for two, a relaxed seat in the soft seating area, gather a group at one of the communal tables or in the private tasting room. Shop for wine priced at near state minimum or pay a small corkage fee (waived on Mondays & Tuesdays) to enjoy your bottle in-house. I’ve eaten here many times. This trip was disappointing. They couldn’t make the specialty drink listed on the menu, the food appeared to be warmed up instead of fresh. The dessert of apple crisp: waitress warned us the plate was very hot, which it was. But some of the apples were actually cold. Not sure how they even made that happen. I’m hoping this is just a onetime “off” visit, as i normally enjoy eating here. I always enjoy the wine flights; creative and delicious. The patio was full and yet the noise level wasn't bad. Server was great as usual! Very good food, with variety of options - good for group since there are choices. Wine selections broad and enjoyed some red wines. Overall, good value with food and wine. Very cool atmosphere. Food was excellent and very fast. As expected the wine was very good and had many options. Pricing seemed a little high given the amount of food, but the experience made it worth it. Only downfall was service. We came in at 8:30 on a Friday and the server seemed annoyed that we were there. Other than that we had a great experience. Great service, great wine, the food was excellent. We love all of the Wine Bistros. Setting was great, waiter was great, wine was great, food was great. Thumbs up! Atmosphere was wonderful! We were 6pm dinner reservation on Saturday evening and waiter was a bit pushy. Not friendly. Food was different, but good. Good was disappointing and overpriced. Didn’t finish anything I ordered but service was great. My husband and I took our young adult sons here and it was a fantastic experience. My butchers cut wagyu steak was the most tender tastiest steak I have ever eaten-it went down like butter. The scalloped potatoes with it were also delicious. My son got the crab cake sandwich, the other got the seafood pasta and husband got an appetizer plus some wine flights. All was great. Although one minor criticism-the waitress who was very nice and helpful, tried to take one of my wine glasses away before I was done with my drink. That’s a no no when the wine is so good!! The service was prompt, courteous and helpful but not overbearing. The food was excellent and the selection of wine is amazing. Parking can be a challenge at the Upper Arlington location. Love the Wine Bistro! Food is fantastic and the atmosphere wonderfully peaceful and inviting! One of our favorite spots! 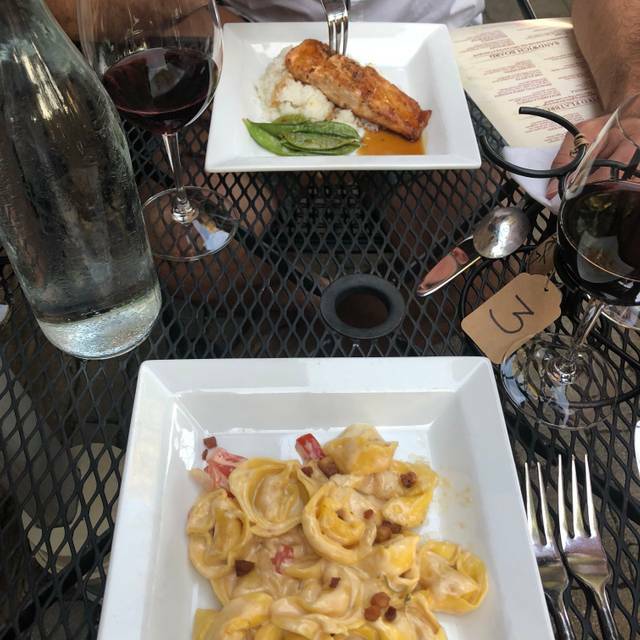 I definitely would recommend the Upper Arlington Wine Bistro to a friend---I have done this on several occasions in the past. On Saturday, March 2, I brought my sister-in-law who lives in Grandview to your restaurant. She had never been before and was very pleased with the delicious food (we had the grilled salmon salad). Both of us thought our server, whose name I failed to get, was very, very good---just the right amount of attention without 'hovering' over us. 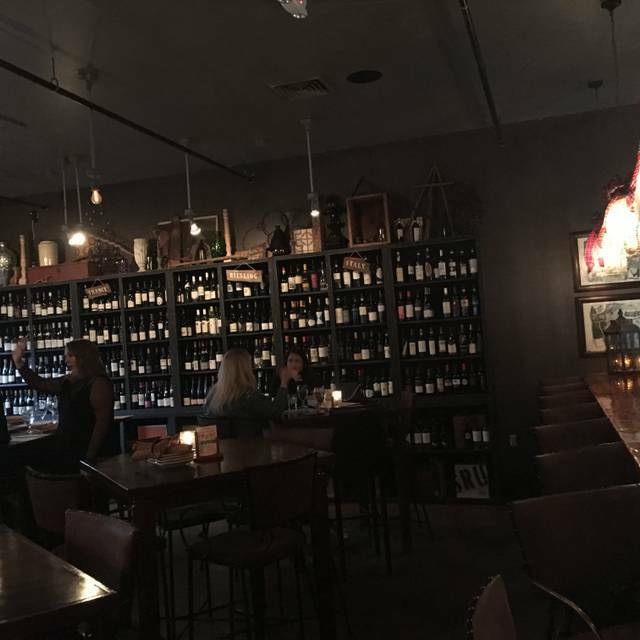 I have been to several Wine Bistro's and this one stands above all the others in food, ambiance, and service. I will be back again. Amazing. I love to come here to catch up with friends and drink some wine. Great for date night. The wine choices are outstanding and pair well with the menu. 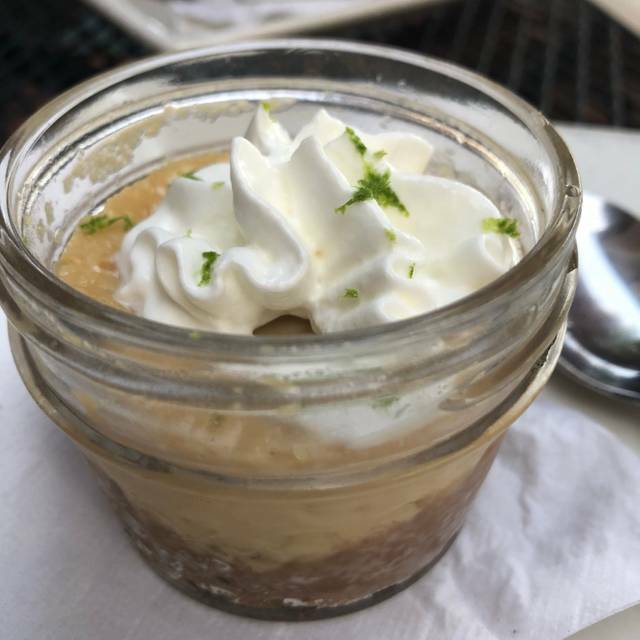 The wine bistro is our favorite and with good reason! Always yummy food, excellent service and beautiful venue. Can’t go wrong here. Varied menu with plenty of options. Offered red and white flights. Stocked wine selection is diverse and can be enjoyed with your meal. Corkage fee ($8) is waved on Mondays and Tuesdays. Wonderful food, excellent service and quaint ambiance. Large wine selection and good variety on the menu. Service was quick and efficient. Plenty of parking. Would highly recommend. We will be back. Food great as always. Bartender was “cold” so we decided to get a table for dinner. Server was great & manager gave us a gift card to rectify bartender issue. Good customer service! Looking forward to patio season. The Wine Bistro never disappoints. Friendly service, consistent food quality, and great wine keep us coming back. Chelsea was fantastic-- clearly running several tables during our visit, she never made us feel rushed and took excellent care of us. Valentine’s Day dinner. The restaurant was busy but not every table was taken, however that may have been because we had an early reservation. The place is known for its wine selection. I’m not a “wine person” so I ordered something fun from the specialty cocktail. My wife did have some wine. The drinks and food were excellent and the portions were decent for the price. This was my first trip and I’ll definitely be back. Wonderful small restaurant with outstanding wine collection and food. Reasonably priced! The tomato bisque is outstanding! Great place for lunch - definitely make a reservation for dinner as it is small. Birthday celebration for 91 yr old friend! The food was great as usual. Brett was a very attentive (but not overly attentive) server. Food, service, ambiance were top notch but my only complaint would be that the workers low key tried to rush us out once it hit 9pm as no one else was in the restaurant; the soft music that had been on all evening suddenly turned off which is kind of rude and awkward. Nonetheless it was a good experience and great wine list. Very easy to have a conversation with the person across from you. The food was excellent. The soup could have been hotter but it was still good. The ambiance is like eating in a winery. Our server (Hannah) was excellent. She was very friendly and on top of everything. We went during Restaurant Week. The food was really good and wonderfully prepared. The drinks were delicious too. We had a great time for a first date! We loved the cheese tray and wine! Overall I liked the Wine Bistro. Surprisingly though, their red wine flight was a bust. I’m not generally picky with reds, but I was not a fan of any of the three and one was downright bad. The food was excellent, but would rethink my wine choices next time. The food and wine were great! The thing that really impressed me most was the ambiance--the furnishings and lighting made this a cozy and comfortable spot. We will def be back. We always enjoy our dinners here. Our server this time, Ben, was very attentive and knowledgeable. My book club gathered here for our January meeting. It was a Monday night, so there was no corking fee. We enjoyed delicious wine and interesting appetizer in a beautiful atmosphere. Great spot for friends get together! Everything was great, but the food needs more seasoning. I’m not a big salt person and my friend and I both had to load our food with salt.